If you are thinking of carrying out any kind of property transaction you are in the right place! Our business has been built on reputation and referrals and our clients' needs are always the priority. We are not owned by a bank, building society or insurance company; we work solely for you, and our obligation is to obtain the best price for your property whether you are looking to sell or let your property. We are a local company owned and run by local people. Our objective is to provide a friendly professional advice service tailored to your specific needs. Unlike many of our competitors we have no franchise fees to pay to a third party that ensures we are always competitive on price; we genuinely feel that we can offer unbeatable deals. At Hathways we strive to make moving easy, offering specialist advice on buying, selling, lettings and mortgages all under one roof. Our aim is to make the whole process as straightforward as possible with our wealth of experience, positive attitude, and honest clear advice to guide you smoothly through the required process... we hope to speak to you very soon! Phillip Hathway CeMAP (Certificate of Mortgage Advice and Practice) CeRER (Certificate of Regulated Equity Release) has been involved with property since the early 1990's. He has worked for and run corporate Estate Agencies for large national companies and also worked for an independent agent. He is an experienced landlord and a qualified mortgage broker and is confident that his company can offer an unrivalled level of service when it comes to dealing with property whether you are buying, selling, letting or looking to rent a property. He is also qualified and authorised to offer mortgage and other financial advice in relation to your property transactions. Phillip confirms "I wanted to re-brand the already successful company to HATHWAYS because when you put your name on your business, you put your personal reputation at stake. Your customers will appreciate that commitment." Steve Wilkes CeMAP (Certificate of Mortgage Advice and Practice) is core to the success of the business. Steve has an excellent approach to customer service and is fully aware that to succeed we often have to work smarter, harder and longer than other agents which is second nature in our organisation. Steve is an experienced qualified independent mortgage broker so when you are in contact with him you can be assured that you are dealing with a true property professional. Steve also has extensive retail experience, having previously held managerial positions within national retailers which, again, underpins his first class attitude towards customer service. Our ethos is to always provide clients with access to the key people/decision makers within the business. We also have a dedicated, motivated support team which includes other advisors, administrators and accountants who are involved daily with the successful running of our business to ensure that all clients receive a service that is second to none. We are fully compliant with the data protection act and are a consumer credit licensed company. We are members of and subscribe to the Property Ombudsman Code of practice. Since the early 90's Phillip Hathway has been actively involved in the local property market. 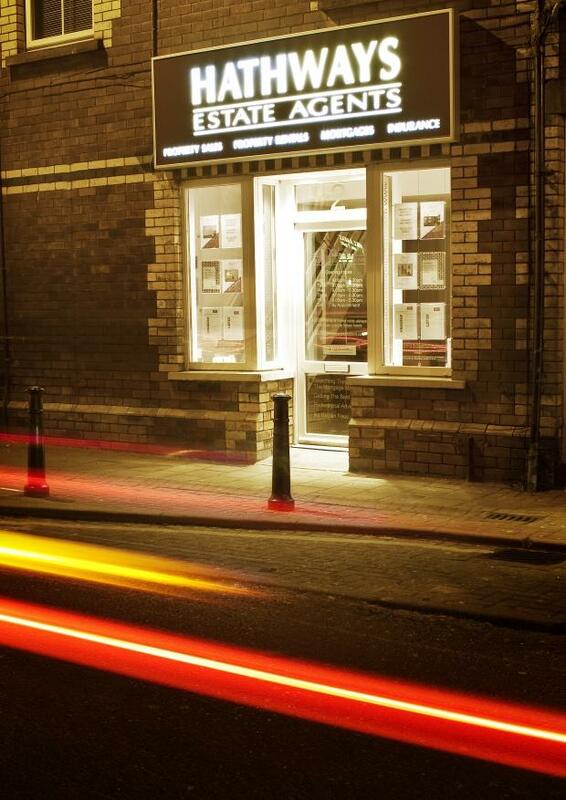 Our office is well situated within the commercial hub of Pontnewydd Village alongside accountants, solicitors and insurance brokers. We own our business premises and we are not part of a franchise so our fees and charges are not governed or influenced by expensive overheads and/or franchise fees. Our service is professional and personal. We are not constrained by corporate bureaucracy; our independent approach combined with an entrepreneurial spirit produces continued results for our clients. We are an independent and professional firm with a 'can-do' attitude covering all aspects of property. We understand that we are judged on the level of our service and are committed to offering a first class service delivering unrivalled results. Our aim is to establish individual relationships with our clients through a business which is built on energy, agility, professionalism and knowledge. Our enthusiasm shows our clients that we will always do the best for them and with a demonstrable record of success we believe that having local knowledge about the areas in which we operate gives us the edge over other Estate Agents. We consider ourselves respectable, and hard working and our integrity is vital to our success. We make things happen and are always looking for our next deal to help our customers. We aim to be progressive and enthusiastic and always put our clients' needs first. Our office offers a superb working environment for our sales and lettings teams whilst providing a comfortable and relaxed setting for our clients to come and visit us to sit and discuss their requirements. We want to be the agent that not only understands the local area better than any other agent; we want to be at the heart of the community. Unlike many of our competitors we have no franchise fees to pay to a third party which ensures we are always competitive on price, we feel that we can offer unbeatable deals! We charge tenants less than all of our competitors so tenants would rather use us. We offer great deals specific to landlords and tenants needs.